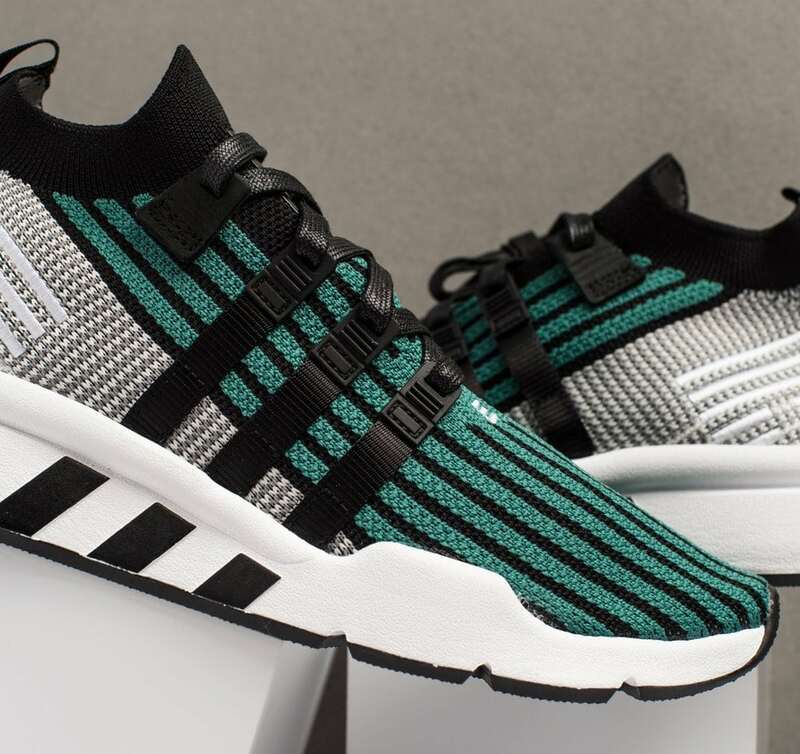 The adidas EQT line was revived in 2015, including updates to classics as well as new silhouettes. Now, another new EQT for 2018 just dropped, the EQT Support Mid PK. 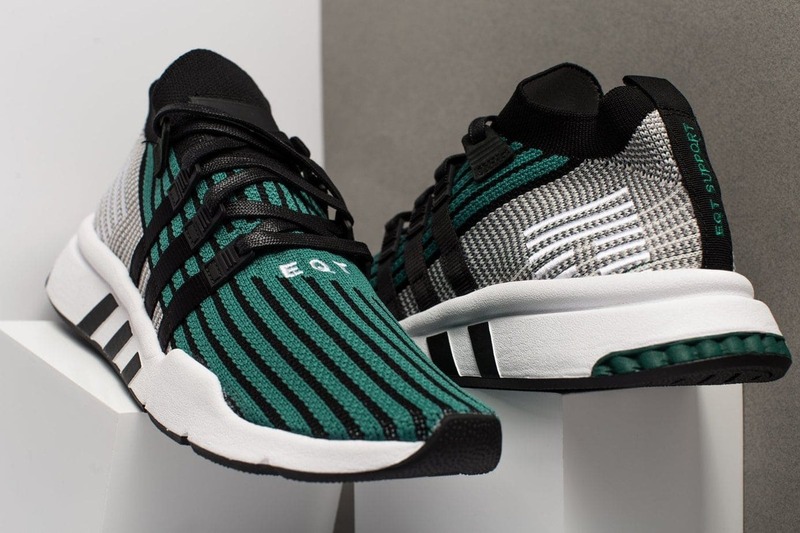 The Three Stripes is adding to their EQT lineup with a whole new silhouette. Titled the EQT Support Mid PK, the shoe features a new construction on both the upper and sole, though both feature heavy inspiration from past EQT models. 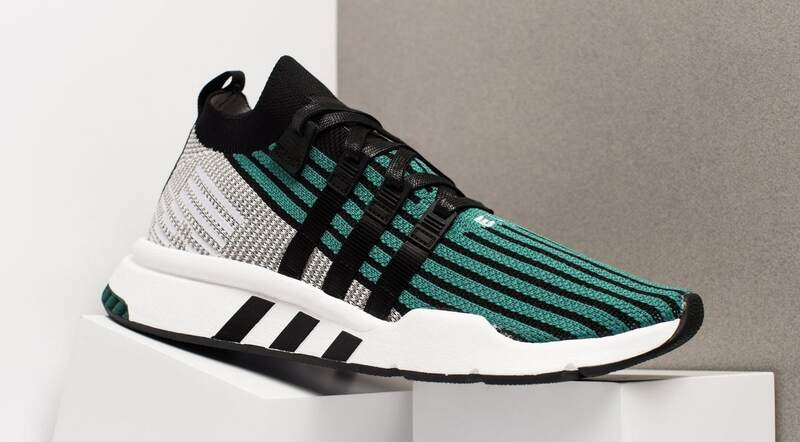 The one-piece Primeknit upper features black stripes running from toe to tongue over an EQT green base. The green makes a sharp transition to grey for the lower sides and heel, giving the shoe an aerodynamic look. Black webbed stripes adorn the sides to hold the laces in black, matching the black collar and tongue. The new midsole tooling features the extension of adidas branding that is essential to the EQT line, as well as extra cushioning in the heel. The newest addition to the adidas EQT family is available early at Kentucky’s Oneness now. Expect this brand new shoe to arrive at a wider range of retailers next month for a price of $150. Check out the images below for a closer look and stay tuned for more EQT.